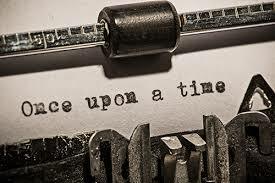 Have you written a story, novella or novella and you’d appreciate someone else’s opinion on how you might improve it? I should love to help with that. Let me read, ponder and provide an objective critique of your work. I will look at voice, language, plot, structure and style. I will also look VERY closely (and several times) at your manuscript for spelling and grammatical errors, missing words – because we all miss those in our own work and, err, editors miss them too. We can work on proofing – checking for errors of all kinds. You might be amazed at how many words are missing or how many typos or misspellings have found their way into your manuscript. Top of the tree are those pesky homophones: words that sound the same but…you get the idea. There/they’re/their; passed/past; who’s/whose. Funny little things, too; like ‘to all intensive purposes’, ‘upmost’, ‘hairy fairy’ (a personal favourite that) and ‘passer bys’ – not to mention all those poor apostrophes which appear when they don’t need to and don’t when they should definitely be there! You can ignore me if you think I’m a pedant too far. Insisting that ‘disinterested’ means not having a dog or a stake in the fight, rather than being ‘uninterested’. You get the picture. Structural editing (you might also hear this called developmental editing or substantive editing) and it is really the most complex and time-consuming stage of the editorial process. It means that you evaluate the manuscript as a whole and analyse for its author how well its constituent parts cohere. In other words, the big question is, ‘Does this work as a book?’ To make the matter more complex, not everyone agrees on what, err, does make a book. There are plenty of algorithms about on the structure of a successful novel BUT there are plenty of texts that defy those; there are many texts that are genre defying and experimental work. We can talk about that, because I also want to say that your work is your work. I will also guide, encourage and do my utmost to help you grow in confidence; I will share what I have learned and I won’t pretend to know something that I don’t. I may also recommend someone else if I feel I am not right for you. We will have a good discussion before anything happens! Or you can call, text or whatsapp on my mobile 07814954063 or on my landline, 01225 866488. I apologise in advance: no answerphone because I bought one of those retro 70s style ones and they won’t connect. My email address is annavaughttuition@gmail.com Obviously there’s no charge for that chat. If you are in my area, West Wiltshire, it may be that we can meet face to face. I am based in the Bath area but am also frequently in South and West Wales. That could work too. Or we can do the whole thing online: you might be anywhere in the world! Longer novel read – you may have written a stunning and vast work of fantasy or historical fiction – £600 approximately, but we might need to have a chat because HOW LONG ARE WE TALKING HERE? I will send your critique back to you within 4 weeks of receiving your manuscript and you are then welcome to have a follow-up phone call with me. Sound good? You may wish to send me a paper manuscript but a PDF is also fine. Either way, you’ll get a report from me plus all my little comments on the manuscript itself. You will know it has been read and loved and more than once. ALSO THERE IS ONE FREE READ A YEAR UNDER MY FABIAN BURSARY. HERE https://annavaughtwrites.com/the-fabian-bursary-announcing/ You can ask me about that. Ah yes, who am I? My website is currently being re-done, so it might not be entirely obvious. *I am a novelist, short and flash fiction writer, editor, reviewer, poet and essayist. Killing Hapless Ally and The Life of Almost (2016 and then just out with Patrician Press), Saving Lucia (Bluemoose, 2020), my fourth book, The Revelations of Celia Masters is on submission at the moment, and I am writing my fifth novel. I’m BA and MA in English Literature and hoping to start a PhD in published work (focus on memory and trauma) when the multiple offspring are a bit older. My creative and critical works are widely published online and in journals and anthologies. *I am an experienced proofreader, copy editor and copywriter. For literary and business texts. *Now, you may or may not think this relevant, but I am also an English teacher and tutor and former examiner. This means I am a grammar geek, a spelling whizz and dedicated to preventing crimes against apostrophes. I am a nerd on the deepest level and actually get excited when I see homophone errors or an it’s which should be an its. That might sound a bit weird. *I am a mentor and advocate – meaning that a joy of my life is to help people – sometimes in very difficult circumstances – improve their confidence and skills. In other words, let me cheerlead you and encourage you to make the mental leap, if you need it, that allows you to say I AM A WRITER. *I read about three books a week. May I add yours? Saving Lucia. Why this book? I have been compiling my notes, bibliography and acknowledgements for the back of Saving Lucia. Writing this book is not a therapeutic exercise, though I know someone will say that! So what follows is (partly) an account of its stimulus and of my interest in this area. ‘Part of the stimulus for writing about mental illness comes from my own jagged experience and from my own shifting notion of what constitutes sanity and who it is defined by. Society? The DSM? Is it culture bound? Sometimes, even an excuse to rid civilisation of its undesirables, whether it be from eugenics, being round the bend, up a curved drive, or having your records burned and your letters unsent so that you can be contained? My own first novel, Killing Hapless Ally (Patrician Press 2016) draws on many experiences of mental health problems in my own life. I have had many different and multiple tags, from GAD (generalised anxiety disorder) to postnatal depression, to low mood, OCD, clinical depression, mood disorder, and a bipolar II query to other less specific things, such as confusion, a response to complex trauma (this from from a psychotherapist in a talking cure—thank you Bertha Pappenheim! ), and a description of poor coping skills in the face of stress. I have experienced symptoms of sustained low mood, auditory hallucinations, frequent nightmares, protracted insomnia and anxiety since childhood. I know what it is to self harm and what might lead you to try and take your own life; I also know what it is to be shamed for problems you did not choose and tried your level best to control. Families have a vital role to play here; were you to be categorised, put away or, through disgust or misunderstanding, denied what is your pressing reality, the outcome could be tragic. The last thing in that list happened to me, but had I been born earlier, I might well have been somewhere different and never got out. And even now, where this choice and admission to hospital may be (it is not always, of course) voluntary, then as the great psychologist Dorothy Rowe puts it in Depression. The Way Out Of Your Prison (Routledge, 2013), the decision to go into hospital is (still) a difficult one because once you start going down this route, it can be hard to get off it. But go elsewhere for my story, or do, please, feel that you can ask me about it @bookwormvaught or at http://www.annavaughtwrites.com if I’ve written a post you might care to comment on. For writers starting out. Do comment, discuss and contribute your thoughts! I know there are a lot of people out there writing books and a lot of people submitting said books at the moment. I know or have met people who now have stunning commercial success, writers who are agented but yet to have their first book sold, those who work with the small presses and who are not agented, those who are what we might call a hybrid (I am thinking this is likely to be me) – by which I mean agented but also finding publication routes on their own, perhaps with a small press, those who are disconsolate because everything is a flat rejection or they have received no answer at all and those – including recent MA in Creative Writing students – who are, for various reasons, too scared to submit at all. That’s just for starters. It might come quickly; it could take years. I do think the key thing is not to take rejection personally (while accepting that, maybe, you need to write a different book if nobody at all is biting); also, if you are floored by rejection and delay and disappointment, then this might not be for you. And that, OF COURSE, is fine. Because there is a life beyond writing. Here’s where I am. I started writing a book, Killing Hapless Ally, a novel, which originally began life as a memoir, in July of 2014; by the 1st of May, 2015 it had a publisher and it was published in March 2016 by the small press, Patrician. I only sent this manuscript to five agents; two rejected it, three didn’t reply at all. I read an article about the press in ‘Mslexia’ magazine and I liked the sound of it, corresponded with its charismatic founder and there we go. I was, I should add, realistic about how visible the book would be, but I have relished the experience and, ever since, the bonds I have made with its readers. Is it a bestseller? Good God no, but it has been important to its readers and the engagement I have had with them has been life changing. With Patrician, to whom I now feel rather bonded, I also published a poem in Anthology of Refugees and Peacemakers (just back from an event at Essex Book Festival on that) and will be co-editor of next year’s anthology, My Europe and editor of its Tempest, which is a book, by various authors, on (Trump) America. And my poetry has been published by the brilliant indie Emma Press, too. Meanwhile, I spread my wings and wrote another book, a novella, The Life of Almost. I began sending this out before Christmas 2016. I’m a quick worker, apparently. Two agent rejections (one the day I sent it! ), three small press rejections (but read on for that and for more on agents), waiting on two further presses and an agent so still out on submissions. BUT during this process, another agent had read a section from Killing Hapless Ally and admired my writing; said agent asked me to send what I was currently working on (as in, The Life of Almost) in partial then in full; told me they thought I was a brilliant writer but that this book was not, though they admired much about it, for them. To their taste, for example, it needed more pace. But I had also told them about my plans for the next book (I actually have four more books sketched out: is that crazy sounding?) and the agent asked me to send them the full manuscript for that as soon as it was ready because they absolutely loved its concept. This was my third text, Passerines. Meanwhile, one of the other agents told me (having read three chapters of Almost) about how they loved my writing style. That there was much to like; it was innovative and compelling but in the end the book was not right for them. Keep sending! And of the three small presses who rejected me, one said that though they would not be taking this one, they were confident it would be placed and would I send them future work? The other told me there was some lovely writing and they were impressed, but that this text was simply too innovative for them and, on that basis, they would simply not be able to shift enough copies to make it financially viable. I do know that the small presses – whom I adore and champion, by the way – are often those who DO champion the innovative book, but clearly that is not always the case. So you see, there’s a lot of encouragement in that pile, just as there is a lot of rejection. The rejection is part of the experience and of the learning. I have almost finished my third novel. So that’s three books – from the first word, I mean – in three years and this is not my day job. I run a a company, teach, have three young boys and I’m a volunteer and mental health advocate, too. I don’t have a great deal of time so I’ve got to want to do this. Do you? Take your time and don’t give up. I may not have hit a super stellar advance just yet and obviously I may never, but I am playing a long game. May those who find later books go back and read my first, for example. We are three years in and I have met so many fascinating people, read hundreds of books – I read a great deal anyway, but I am so much more alive to different presses and sources of reading; it has been such an adventure. I’ve made a film about mental health, presented at a literary festival, had a packed book launch at a wonderful bookshop, spoken to, had dinner with, corresponded with, interviewed and had my work read by – it is happening now – writers whom I admire. I’ve also published poetry and articles and guest blogged. To boot, I think I am a better teacher because I am a better reader and writer and what is more I am able to share my work with students. Right now, I am commissioning those in years 10-13 to write for the two anthologies I have mentioned and, through my company, I felt inspired to set up a year-long bursary so that I could help someone who had had – this is the icing on the cake for me – long term mental health problems (as I have had myself) to evolve and complete a creative writing project. So that’s where I am now. In the peculiar position of having one book out on subs and another being waited for and…without giving too much away…being discussed. At the weekend I had an offer of publication for my second book, but I am taking my time. And now I have to make the tea because the kids keep coming in and rooting through the cupboards. Not having the time forces me to write when and as I can and I mull at other times, which I also regard as working. If you wait for your perfect writing environment or space or time, it may never happen. So why not write something tonight and get started – even if it’s just a paragraph? Do tell me about your experience and about how you are getting on. Here she is again, the Honourable Violet Gibson. She’s feeding the birds in the garden of St Andrew’s Hospital, Northampton. That’s where she ended her days. Because in 1926, Violet shot Mussolini. She wasn’t a great shot. She’d also previously tried to shoot herself and failed at that. She was beaten by the crowd, that day in Rome, when she shot Il Duce. She experienced prison, lunatic asylum, then deportation, not realising where she was going. No. She was incarcerated for life. What if she had had help, that day in Rome? What if she had not missed, had not only grazed the nose of Mare Nostrum? What of Lucia Joyce, similarly abandoned by her mother and brother, in the same psychiatric hospital? How would it have been if she got to do things differently; could go back and forward? Now, how would any of that be possible? What has this to do with Anna O or Blanche? With Dr Freud, Dr Breuer, Dr Charcot? With Vienna, or the Salpetriere in Paris. And why did Violet’s father, Baron Ashbourne, meet James Joyce, Lucia’s father, before he left Dublin for Trieste? And if Violet shot and didn’t miss, then history is changed, as well as the lives of women whose freedom was radically curtailed, whose madness was…questionable; who were abandoned,derided, or turned into exhibits. I will publish a proper synopsis very soon, but it is one hell of a road trip, this – and what happens has much to do with the birds, the passerines…Some of this is true; some of it is imagined, but the latter for the sake of adventure and sweet liberty. ‘I know that was a long sentence. I made like Joyce. Oh but Oh God and the snotgreen sea, I am determined. I’ve made her dance, just a little. And here’s a shorter sentence: so keep up. Dr Griffith finds he cannot concentrate, takes up a bible. Remembers birds of childhood. As a boy, turn of the century thereabouts, his father made him go to scripture memory competitions. Welsh Baptist family. Now his eyes are moist. He was good. Even the sparrow finds a home and the swallow a nest. Like a sparrow in its flitting, like a swallow in its flying, an undeserved curse goes nowhere. Down the corridors of the asylum echoes a turbulent commotion and alarms fly. This was the bit the staff heard. They’d missed the whispers, glissando of the winged helpers no louder than a heartbeat through a greatcoat; rustles of paper and scratches of soft pencil; tremendous change: you couldn’t stop it now. The Life of Almost,a breathless Killing Hapless Ally and choosing your ending. I have written a strange little second book. I suspect I will always write strange books. Big ones and little ones. The first, Killing Hapless Ally, was placed with a small press. As such, it is not, naturally, going to fall into so many hands. And yet and yet…I cannot tell you how rewarding it has been to discuss the book with its readers. I know it is a challenging book; it is busy and breathless and constantly allusive. It is a work of fiction, but this rush through a history, through a mind, was deliberate. Its publisher understood and supported this; loved its density and fragmenting quality: its form was part of the effect, you might say. But to other readers it will be too busy, appear too dense and poorly edited. I took a risk – and my hope with Killing Hapless Ally was always that this was a long game. What I wanted was to write at least a book a year; to establish a catalogue and, gradually, for more and more people to find it. Now, back to that second book. The Life of Almost. Who is he and what is he? Is he alive or dead? What is his purpose? Well I like ambiguity and grey areas. If a book promises a twist at the end, you can bet I’ll have guessed it on page three; I’m that sucky person who shouts out the answers not long after it starts, which is why I am bound to silence when watching films or telly with my husband. Like a kid at panto. “It’s binary and he’s the ghost!” (Interstellar.) “It’s his sister and I bet Moriarty’s helping her!” (Sherlock Holmes). I’m happy to know the ending or not to have things promised to me. Anyway, The Life of Almost has, at present, two different endings. Casuistry. Pick one. “What do you want? What do you expect?”, to quote Owl Eyes in the library in The Great Gatsby. And also, because the book is also a reworking of Dickens’s Great Expectations, the two ending recall what happened with that book, a note of explanation being underneath. I think I can get away with setting text out here. If the book gets commissioned, this bit of the blog post might have to go! But you know – this is relevant, I promise! – I am struggling at the moment: depression, sadness, they have the better of me; I wake, frightened, at night; I start at noise: my mind races, thoughts collide and crash and back come the hauntings of early experience. I cannot bear bright light or loud sound; sometimes, I hear sounds when they are not there, a constant auditory disturbance; sometimes music, often quotation. This has always been a feature. No-one’s experience of depression or mental health problems is quite the same. Mine is jangling and mult-coloured; fast fast slow. But I can do this. I CAN. There is no miracle. I rebuild my mind with books and thought and friends. Casuistry. Which ending, for Seren and Almost, would you rather? The other person in the text is Catherine, who begins the book. And it is Catherine who begins summer 2016 in a state of welling despair. That is why Almost appears, from the sea-coast, off-world, whatever you like (as I said, I like ambiguity) to begin a bitter magic. ‘The two endings, Catherine. Listen and choose. I begin with a poem. For her. Everything is for her. Why ice should seed along a scratch, why I should love my six point star. But innocence and clearest eye embolden me to make her mine. My Borealis blood-red sheen—if I should fall, then make me know. Be gentle with the tenuous forms of memory; do not grieve too soon. Consider this—why should we be, ephemeral and urgent? How? And speak to me with confidence, declaim for me on cliff or prow. Beyond the log pile, salt and shed; behind our eyes when we lie still. And set my records on my desk and light my lamp: make them be seen. I met her out there. I felt her, thoughts carry: I always knew where she was. I walked beyond St David’s to look at the Blue Lagoon, turned back and walked and walked to Abereidy, then through the bluebell wood, by the mud and stream to the fierce mouth, Abermawr. Skimming stones into the sea, she was. Oh God, aflame. I could hardly stand her beauty. She saw me and walked slowly my way as I cupped a pebble and steadied my thoughts and tried to control my tears. Seren. Star. Always her. A mermaid I trapped on land and who never forgave me. I said, “Age does not wither her” though I knew I was lying and I saw I was fresher and new, still. Oh she wept and howled into and out of a fierce mouth and hurled the rocks across the breakers and I went to her and held her while she told me of her life with him; of the spite that held, the jokes that cracked and broke; resentments, brutal, scorning others just because they had a better boat; a finer cast of house or leg or anything. He hated the world and everyone in it, handsome damned man who had fooled her. I said, ‘I will find him dead and flay him for you, Seren, for you, my love’ and I meant it, brute like daddy, down under the sand in another sea and time. My howl was elemental; perverse. We clung to each other. He, Roland, touched her wrong; he did not cradle her at night, not understand that her own beautiful scorn was from her pain, sea girl trapped, and if he had, what would it have mattered? He had her to set on his arm and place where he should and that was enough. He used her roughly; cursed her barren; not a mother, nor a soft gentle thing. He cast her out, within her home. I could not stand to hear it all and howled again and she clung and my God I cannot tell you how beautiful she was because it would be like…it would be like trying to beat the heart of a star with a warped broom; like lifting up prayers with dirty hands and biting mouths. That is something like it was. We walked out through the woods and I gathered bluebells, pressed them upon her in a fever. “I already have” I said; I fell on my knees in the stream and mud and the bluebells were crushed with I and her and us together, tremendous. Her heart was opened then. I saw it. ‘But then again, is this how it was? Catherine, do you prefer this ending? I begin, as I often do, with a poem. This one is about endings, when we come to recognise they have arrived, that is. Echinocardium, wanting to be grand. You did not care if such should come to harm. I knew, although I smiled, my love had died. I knew where she was. I felt her. I walked there, out beyond St David’s, the lovely harbour at Abereiddy, turquoise of the Blue Lagoon, then through the bluebell woods to Abermawr. She knew I would find her, of course. Out there, hurling stones across the breakers and howling her pain. She did not stop me taking her in my arms, drawing time-stopping kisses from her. Too late, too late, though, Catherine. For this is what happened. Everything I said of Roland was true, but when he died, consumed by his own acid and pride, Seren married a quiet local man. Not rich, but comfortable, like, and they lived in a house looking out across Ramsey Sound. This is the road she had taken, my beautiful mermaid girl. And she had a child, too: how could I claim her now? Oh Catherine, do not laugh: she called the boy ‘Nearly’ and he was her joy. I could see that. How could I claim her now? She seemed old, though she was not, and greatly changed and sad. What could I do? My heart was broken. I reached down and picked up an auger shell, she cupped it in her hand with tears in her eyes and then she turned, picking her way across the pebble beach to the bluebell wood and she was gone. Then I wept, cried until I was dry, not comprehending the world. I felt his fingers brush my arm: electric. Then he was gone, too, and had ended his story. An explanation of the two endings. But now, if you wouldn’t mind making tea and trimming up some Welshcakes but without a recipe and with one hand only, I shall offer you my last. Do you know that, sometimes, stories have two endings? Of course you do. In old books, sometimes the author wrote an ending that was too sad and his publisher demanded it more palatable; a triumph. Triumph is sometimes untrue, of course, but what would you like? What do you expect and how may I help? Anna Vaught, Wiltshire, two thousand and sixteen.